Floral design featuring the Hibiscus. The Hibiscus flower is native to many island nations including Trinidad and Tobago, the Philippines, Hawaii and surrounding Polynesian states. 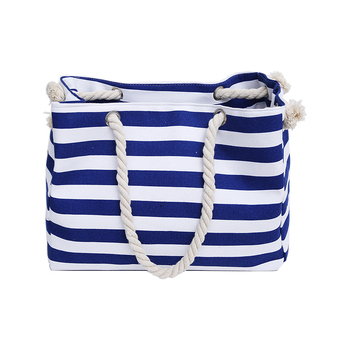 A trendy beach bag, where you can put everything that matters when hitting those warm beaches.